Have you heard of De Massimo's Authentic Sauces yet? The story of De Massimo's sauce is all about family. Their sauces are "Old World" Italian recipes that were handed down over generations. I was introduced to them by the company owner's sister, who is a professional contact that I've gotten to know well over the last three years. He began his dream in 2015 by offering his family's sauces at the Hilliard City Farmers’ Market. Since then, De Massimo’s has established a growing retail and food service presence and participates in various markets and events throughout Ohio and the Midwest. Locally, you can find them in Heinen's, Nature's Oasis, Miles Farmers Market, and Giant Eagle Market District (as well as several other smaller retailers). Currently, they offer Classic, Pizza, and Arrabbiata sauces. I was gifted a three-pack for the holidays, and I recently used the Classic and Arrabbiata to make Mr. H dinner for his birthday. 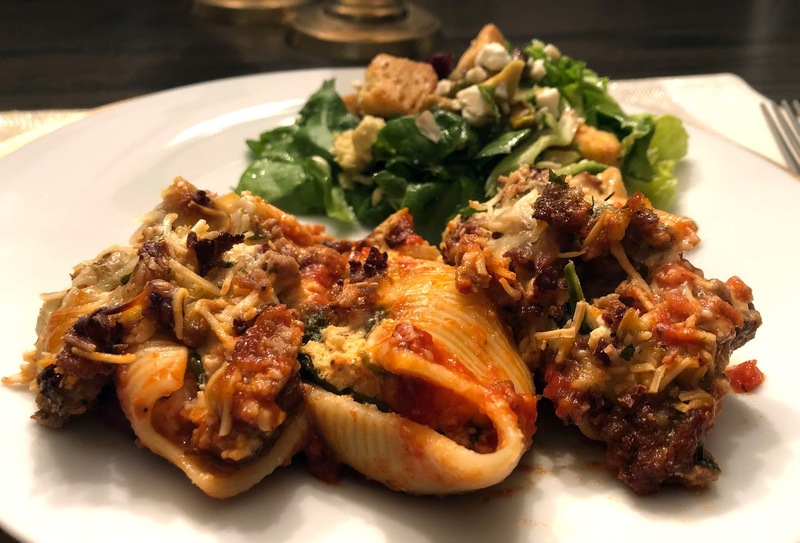 They were seasoned well and made me look good for this easy Stuffed Shells recipe! We're running very low on our homemade sauce Mr. H made this summer, so this new-to-us brand will be stocking our shelves until we make some more. Go try some!